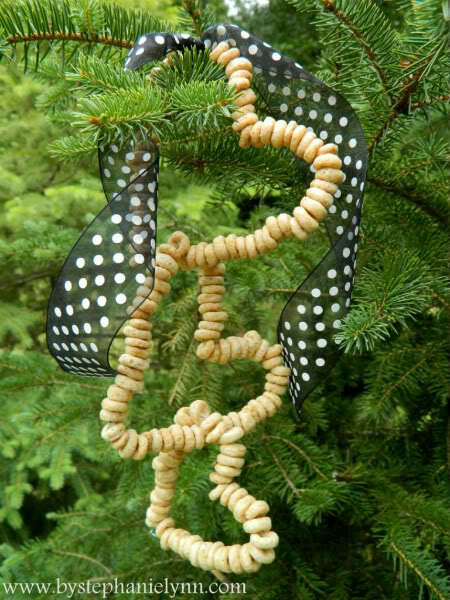 Make outdoor Christmas ornaments that feed the wildlife! Cut a strip of wire or pipe cleaner to the length needed and form the wire into a fun shape, such as a heart, star or Christmas tree. Thread Cheerios or other natural treats onto the wire and twist the ends of the wire closed. Tie a decorative ribbon onto the top of the ornament and hang the ornament in your yard or pet cage.